Colorcarethérapie provides fade-fighting color protection Gentle care for multi-processed, color-treated hair. This new system of sulfate-free shampoo and gentle paraben- and silicone-free conditioners helps to fight fading and prolong color brilliance. 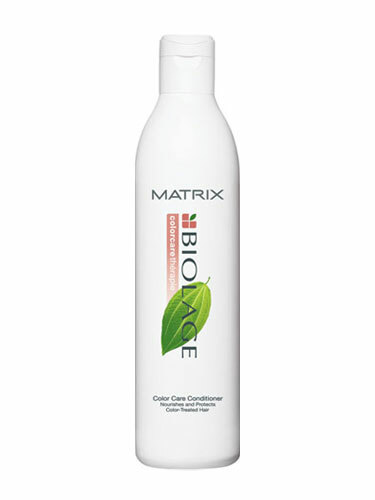 This Matrix Color Care Conditioner seals the hair cuticle to help lock in color. It also intensifies shine & preserves hair's vibrancy.